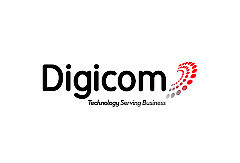 Digicom specialises in Audio Visual, Cloud Conferencing Solutions and Managed Print Services. With over 20 years in business and a team of over 40 people, we have grown to become the trusted partner of many businesses in Ireland and abroad. Our goal? Helping your business be better. Unify communications and optimise business efficiency, equip the workplace of the future with the tools and interfaces required for better business, that’s what we do.